currently under construction along Hohola road. 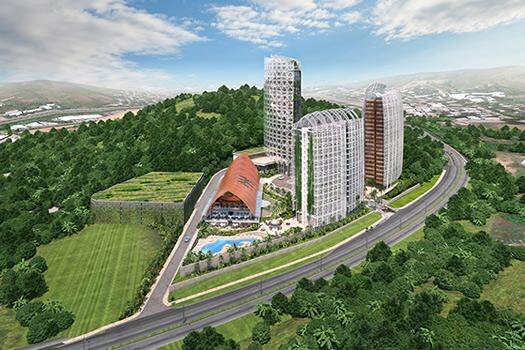 The Papua New Guinea Government plans to lure more world-class hotels to be established at Ela Beach in Port Moresby – to bring down the cost of hotel accommodation, a Cabinet minister says. PNG Trade, Commerce and Industry Minister Richard Maru said costs in the tourism and hospitality sector must come down. “We are looking for another hotel at Ela Beach to bring in three-world class hotels,” he said. “The department has been working hard to get these hotels so we can drive competition and build world-class hotels and bring costs down. “We want Port Moresby to be the centre of major events. “Papua New Guinea and Port Moresby must be the heart-beat of the Pacific. Maru said the industry was talking to other airlines to service the route between Port Moresby and Singapore. “Many of our people go to Singapore to access anywhere in Asia. He said this was for the purpose of bringing down airfares to attract tourists and overseas businesses to Papua New Guinea.